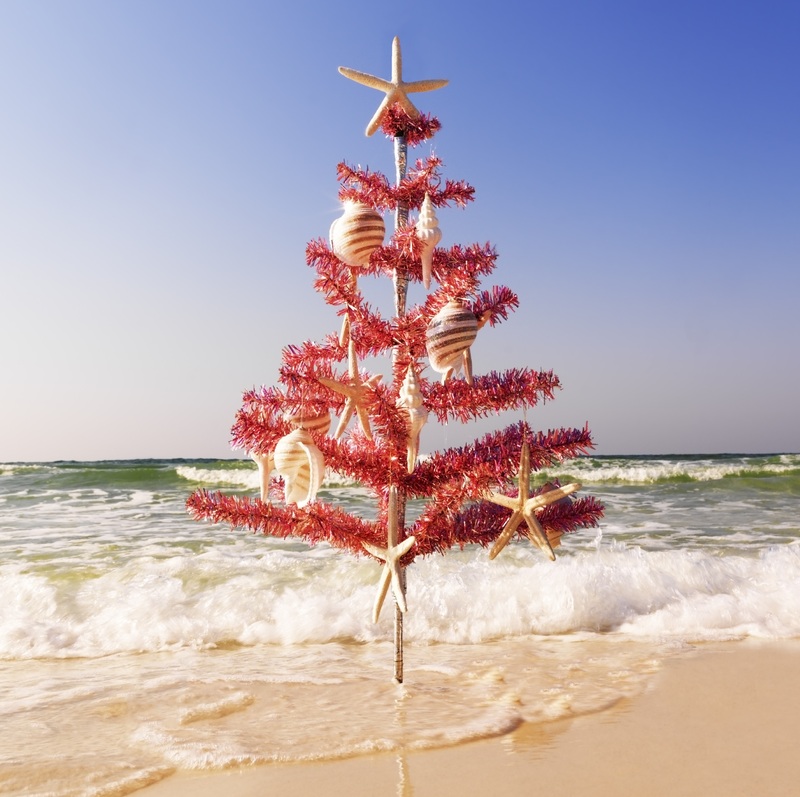 Our Holiday Package has arrived and look what a great deal. Not only can you enjoy it yourself, it makes the perfect gift for that someone in your life who has everything. 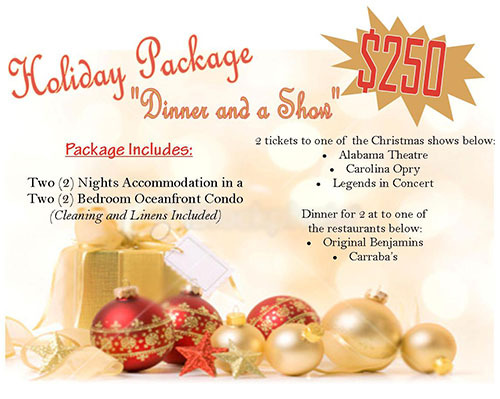 Whether you need a private place for out-of-town family to stay during the holidays or you want to get away yourself, this package is where it’s at! Call 1-800-525-0225 to speak with one of our vacation specialist today and reserve your dinner, show, and condo! 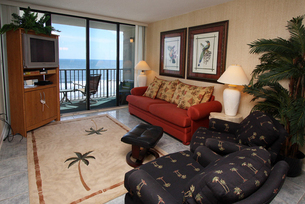 Enjoy the oceanfront views and the comfortable couches at Prince Resort Penthouse 1904. 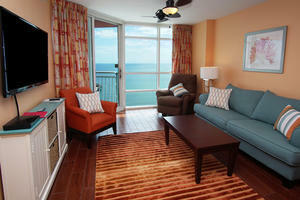 Oceanfront at Sands Beach Club 618 there is an indoor swimming pool to enjoy in the cooler fall and winter months.